Acclaimed producer Rebecca O’Brien (I Daniel Blake, Oranges and Sunshine, Bean, Friendship’s Death) joins us for our first episode of 2017. Sophie and Lee look back at some of the key films released in January, including Pablo Lorrain’s Jackie Bouvier Kennedy biopic Jackie, Martin Scorsese’s meditative Catholic drama Silence, and Kirsten Johnson’s unique memoir Cameraperson. Then Rebecca takes us through the films of the renowned British director Ken Loach, many of which Rebecca produced, granting us unique insight into the method and process behind his works. This entry was posted in podcasts and tagged 3 clear sundays, a contemporary case for common ownership, a misfortune, a question of leadership, a tap on the shoulder, ae fond kiss..., after a lifetime, auditions, autumn 1982, back to reality, bread and roses, cameraperson, carla's song, cathy come home, days of hope, eleven minutes nine seconds one image: september 11, family life, fatherland, happy ending, hidden agenda, i daniel blake, impressions of two political conferences, in two minds, it's a free world..., jackie, jimmy's hall, ken loach, kes, ladybird ladybird, land and freedom, looking for eric, looks and smiles, mclibel, meet the people, my name is joe, poor cow, questions of leadership, raining stones, rebecca o'brien, riff-raff, route irish, silence, singing the blues in red, sweet sixteen, the angel's share, the big flame, the coming out party, the end of arthur's marriage, the flickering flame, the gamekeeper, the golden vision, the navigators, the price of coal, the rank and file, the red and the blue, the spirit of '45, the view from the woodpile, the wind that shakes the barley, tickets, time to go, to each his own cinema, two worlds collide, up the junction, wear a very big hat, which side are you on? on January 31, 2017 by The Hyphenates. So the world: hell/handbasket. You know who’s had two fingers up to the powers that be of every stripe, since 1965? Ken “Kenneth” Loach, that’s who. And given that politicians seem intent on turning the clock back to before civil rights, let’s go back to the beginning and remember what we’re fighting for: Cathy Come Home, originally screened on BBC TV as part of The Wednesday Play, is officially the most effective social protest film of all time, as it led to the founding of the housing charity Shelter. It was also part of the “angry young man” social realism that exploded out of postwar Britain, demanding the justice and equality that had been fought for in the war come home to root. Cathy (Carol White) – who carries on, head high, even as she loses everything – laid the template for Loach’s everyday heroes, captured in moving scenes that may look like fly-on-the-wall documentary but testify, even then, to Loach’s ability to inspire actors to connect emotionally with an audience. 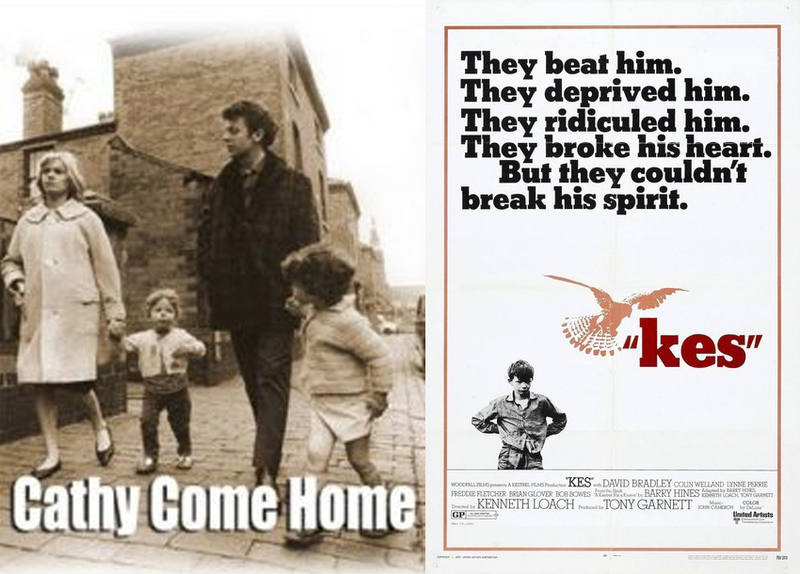 And if you haven’t been reduced to tear-jelly (and/or gone out on a protest) by Cathy Come Home, then settle in for Kes: even David Bradley, who plays the protagonist Billy and still lives in Barnsley where the film was made, says he can’t watch the end scene because “it’s too much”. And this from the actor who still loves the film – his first – even though Loach, seeking authenticity, didn’t call cut in the scene in which the schoolboys get caned. Kes is the kestrel Billy trains – really, into which he pours all his love and creativity. So maybe skip the climax if you’re feeling fragile. Or rage on, with the rest of Loach’s magnificent, ever-furious and tender body of work. Substitutions: If you can’t get or have already seen Cathy or Kes, you must watch Loach’s two Palme d’Or winners: the award for 2016’s I, Daniel Blake made him only the ninth filmmaker to do that prestigious double. Fifty years on (fifty! years! on!) from Cathy Come Home, Loach tackles the impacts of austerity and mealy-mouthed bureaucracy on families and communities once again, this time with a rousing central performance from comedian Dave Johns as titular hero who won’t take it no more. The Wind that Shakes the Barley (2006) is one of Loach’s rare forays into historical drama: along with Jimmy’s Hall (2014), it’s a human portrait of Irish radical politics, with a starring role for Cillian “briefly not being a psycho” Murphy as yet another classic Loachian character, the loyal, principled (and doomed) Irish Republican Damien O’Donovan. 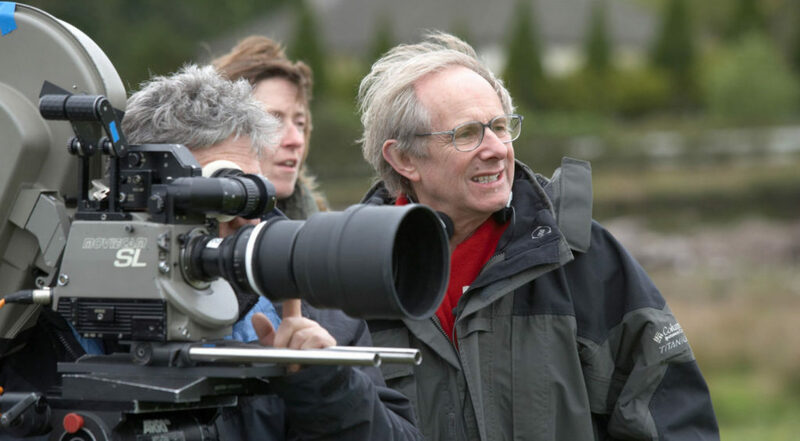 The Hidden Gem: Loach has only ever made one film in America – and, as you’d expect, it’s far from a Hollywood affair. Bread and Roses, named after the classic union song, is about two Mexican sisters (Pilar Padilla and Elpidia Carrillo) who work as cleaners in LA, and are inspired to find an unorthodox and passionate campaign against their employers. Full of fire – and also tips for fighting our way out of the current crisis. The next episode of Hell Is For Hyphenates, featuring Rebecca O’Brien talking Ken Loach, will be released on 31 January 2017. This entry was posted in blogs and tagged bread and roses, cathy come home, cheat sheet, i daniel blake, ken loach, kes, rebecca o'brien, the wind that shakes the barley on January 26, 2017 by The Hyphenates.